SalesScripter helps you to build an awesome cold call script. But we don’t stop there as we will also make the cold calls for you. The SalesScripter methodology and template library was actually born out of a cold call outsourcing operation made up of teams of cold calling sharpshooters that work the phones, send email, and crawl social media to connect sales people with prospects and leads. These cold callers are all trained on the SalesScripter methodology which enables us to hand them your SalesScripter scripts and they can immediately be on the phones, sounding like a full-time resource for your organization with little ramp up time and effort. Getting prospects on the phone is not only difficult, it can be extremely time consuming. In order to generate a lead or schedule, it takes a lot of grinding work through a list of leads, research, calls, emails, voicemail messages, dealing with gatekeepers, and more. It does not make sense for you to spend your valuable time dealing with all of these time sucking tasks. Delegate this to someone else so you can focus on more strategic tasks by using SalesScripter and our Cold Call Outsourcing services. Cold calling is our business. Not only do we know how to produce cold call scripts that work, we also know how to train and manage cold callers that are able to generate results. 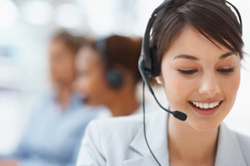 Our teams are experts at phone prospecting and cold calling. Sure, you can learn the SalesScripter prospecting methodology and become an expert yourself. But you can also leverage our cold calling experts and have them do the work for you by using our Cold Call Outsourcing services.